Whether we’re ready for a new year or not, the final day of 2016 is here. My social media feeds are filled with hundreds of reflections based on the last three hundred and sixty-five days and action plans for the upcoming three hundred and sixty-five. As I recently discovered, I’m not immune to this end-of-year reflection mania since I found myself contemplating my favourite moments from the year over a cup morning tea. Rather than let Facebook have the final say about my 2016 highlights (I hope all you Facebook users know what videos I’m referring to), I’ve decided to wrap this year up with a more personal blog post. Even though I have been working full-time all year, I still managed to devote a lot of free time to a couple things I love: travelling and travel blogging. I boarded 23 flights. I visited 11 countries. I took SnowtoSeas from 3 embarrassingly underdeveloped posts to 23 (less embarrassing ones…I hope). I’m not here to talk New Years Resolutions, but I will acknowledge that I still have a long way to go (can I double that post production rate this upcoming year at least?). Anyway, I chose to write this post in order to share 10 experiences and obsessions from 2016 (not all are bound to a single destination) that in some way, shape, or form created lasting impressions by pushing me out of comfort zone, challenging my habits, and by helping me grow into a better person. Of course, some experiences simply created lasting impressions through their own unexpected magnificence, and I want to acknowledge those moments of awe as well. Within this list of experiences, I hope that you will uncover a travel tip or two. If you happen to have any hesitations about embarking on any new kind of adventure, I hope that my decisions and reflections encourage you to push past any doubts and take a step – or a leap – forward towards reaching your own travel goals regardless of what they are. If neurotic, obsessive, budget-focused, easily-stressed, control-freak me can do it, I have complete faith that you can too. I’ve heard more than a handful of people praising solo travel. Many have even said that solo travel is the best way to travel, because is liberating. You have complete control over what you do and when, and you do not have to adjust your plans to meet anyone else needs. When travelling alone, you often only have yourself to rely on, so travelling solo can often lead to self-growth. Since I’ve always travelled with others, going off on my own felt a bit daunting at the start. However, in April, my desire to see Venice became greater than any worries I had about travelling alone. This solo day trip across Northern Italy encouraged me to go on a solo weeklong Interrail adventure from Milan to Warsaw in July, and I inevitably became a proud member of the solo travel appreciation association (all those aforementioned perks are entirely true). Bellagio by Lake Como – One of my stops during my solo interrail adventure. I hope to produce a more detailed exposé about travelling solo this year, so stay tuned! At the start of 2016, I discovered that Interrail/Eurail pass fees increase as soon as you turn 26. Since I was getting quite close to the 26 year mark (and I want to save money wherever I can), I purchased an Interrail pass. This pass was the backbone of my weeklong solo adventure. Getting from destination to destination (and adding in spontaneous destinations) would not have gone as smoothly without the Interrail pass. As I recently discovered by having to choose and stick to specific train times in Western Germany, I really valued the flexibility the Interrail pass offered and now, feel frustrated without it. If you want to learn more about Interrail/Eurail passes, read a silly rhyme, and see whether purchasing a pass would be a good fit for your European adventure, check out my Interrail/Eurail post by clicking here. Do you know the name of Austria’s picture-perfect, Pinterest-famous town? 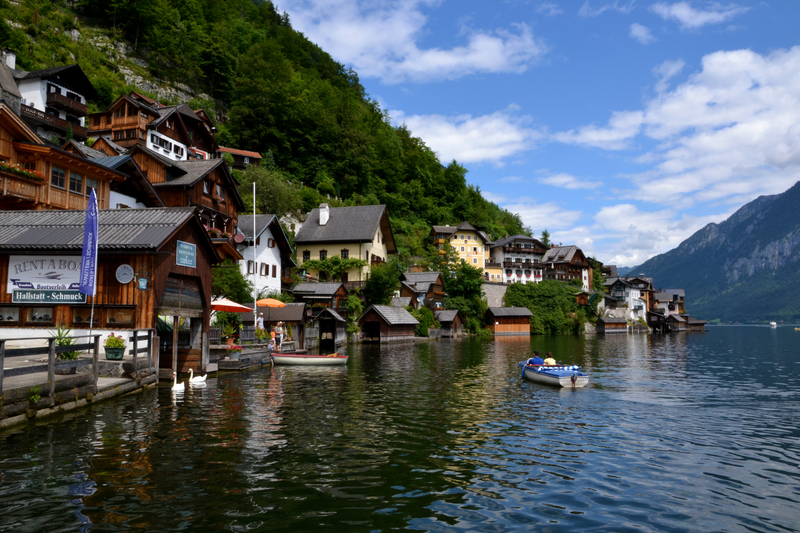 It’s Hallstatt and spoiler alert: it’s just as beautiful in reality as it appears in photos. Hallstatt is just under a 2 hour train trip from Salzburg, and I am embarrassed to say that I initially didn’t plan on visiting the village even though I was already in Salzburg (how did I ever consider skipping it?!). I’m a bit of a control freak. I really like having my mind made up and sticking to a plan. 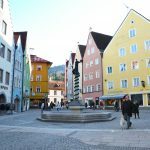 By making an impromptu, last-minute decision to visit Hallstatt from Salzburg, I challenged my own habits, and I ended up feeling pretty pleased about it. When Skyscanner finds ridiculously cheap flights for you, sometimes, it doesn’t matter if you’ve never heard of the precise destination. You simply gather your travel-loving friends, maybe complete the briefest of Google searches, put in your credit card info, and go for it. 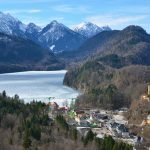 This is how 4 of us ended up with flights to Tuzla in Bosnia and Herzegovina – the starting and ending point of our incredible Balkans Road Trip. 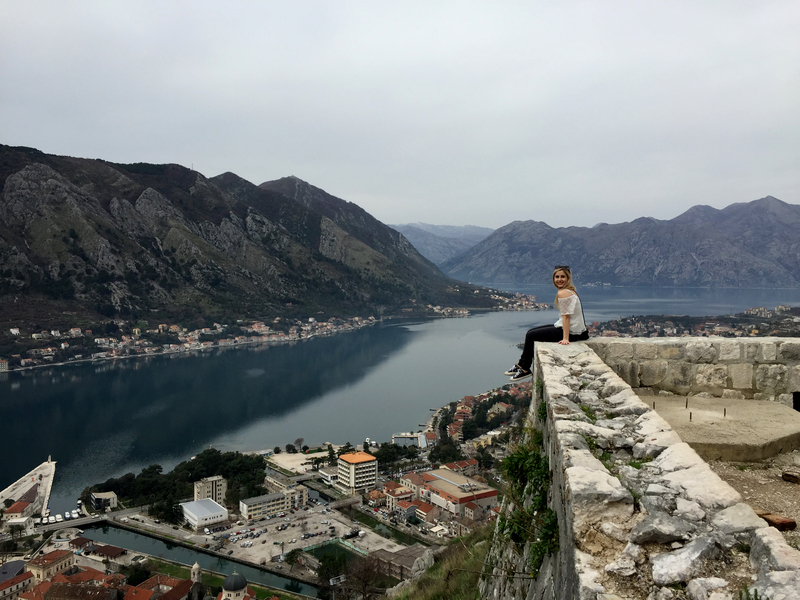 I’ve already dedicated thousands upon thousands of words to our experience in the Balkans, so feel free to click on any of these countries (Bosnia and Herzegovina, Croatia, and Montenegro) to see why they belong on your must-visit list. I love tasting diverse, delicious dishes from different countries – who doesn’t? Despite my passion, food and I still have a bit of a rocky relationship. In 2016, my suspicions were officially confirmed and I was told that my gut isn’t quite right (it’s nothing serious, just inconvenient). However, I refuse to let this setback stop me from doing the things I love. Rather, with my newfound determination, I have become even more food-venturous and fallen for a variety of foods including authentic pesto, ceviche, ćevapčići, fish tartar, and pasteis da nata. 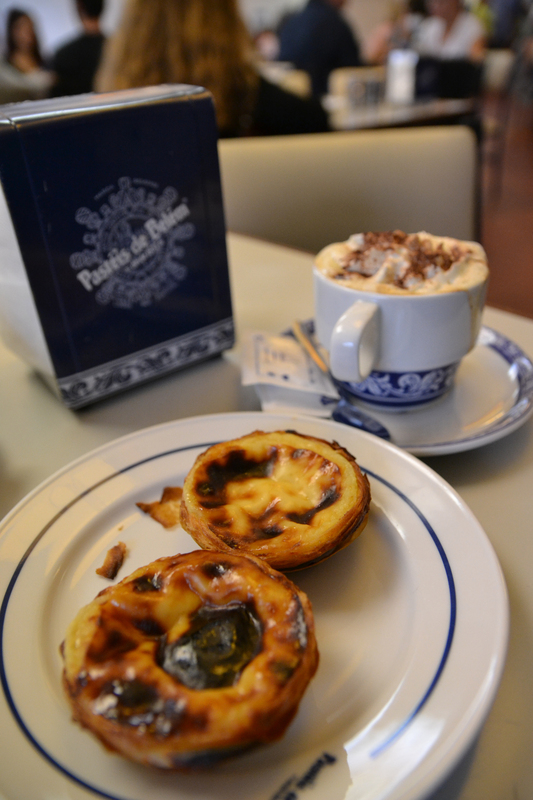 Authentic Pasteis from Pastéis de Belém (Portugal). 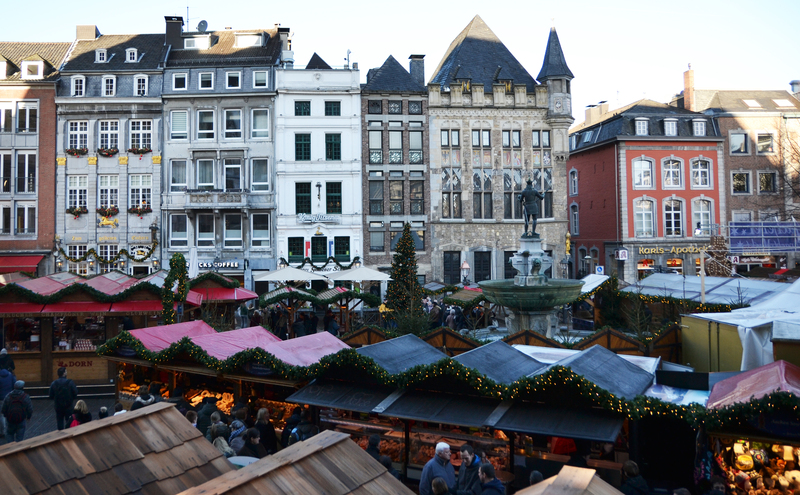 In 2014, I had my first taste of European Christmas Markets. 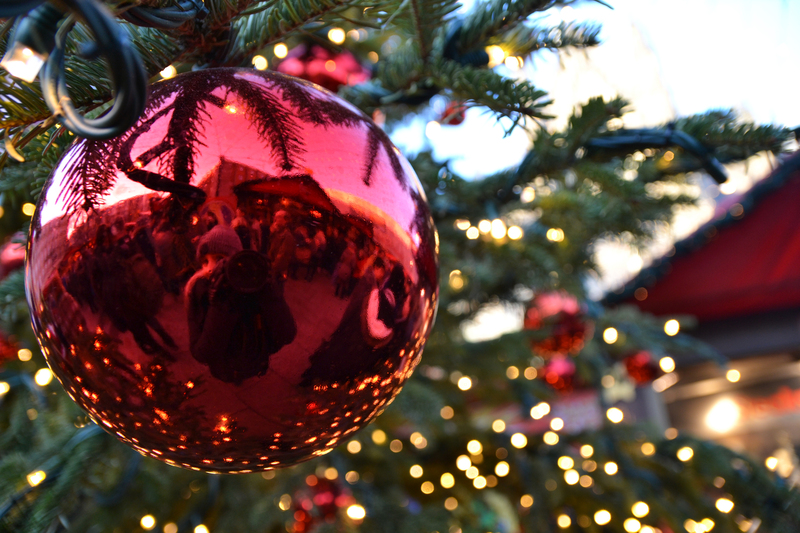 I couldn’t help but become obsessed with the festive and cozy Christmas Market atmosphere. Hundreds of sparkling ornaments and string lights with the scent of gingerbread and mulled wine cast their spell and made me feel like I had entered a fairytale. European Christmas Markets were like nothing I had ever seen before, and after hearing incredible reviews of German Weihnachtsmarkt, I knew I had to pay a visit to the Christmas Market Motherland. And so, I did in December…in form of another solo trip! The Crowded Cathedral Market in Cologne. I guess it would be fair to say that I’m rather GoT obsessed. I contemplated the possibility of R+L=J before hearing the theory come out of someone else’s mouth and during a recent trip to Croatia, I repeatedly called Dubrovnik King’s Landing. Overall, some of my 2016 travel destinations were selected based on their resemblance to George R. R. Martin’s fictional world (or their use as filming locations for the HBO series). With every landscape and city in the books series being absolutely mesmerizing, my obsession had nothing but a positive impact on my travels. 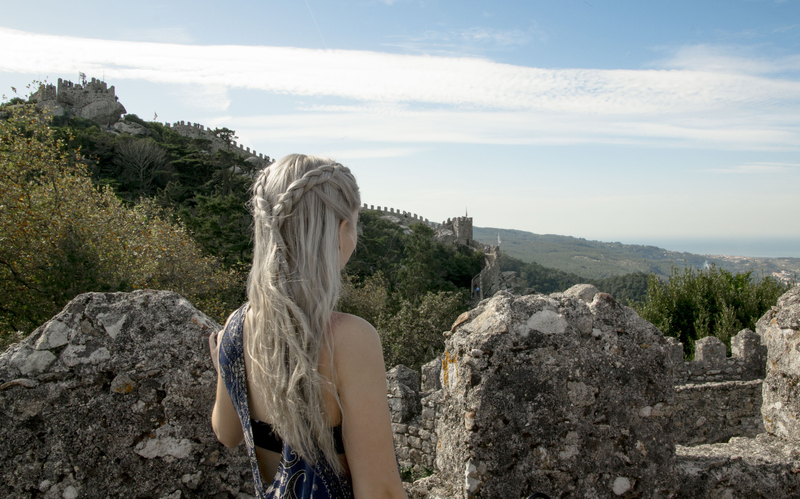 The incredible view from Sintra’s Castle of the Moors. Europe is home a handful of budget airlines (Ryanair, EasyJet, Wizzair, etc.). If you can adjust your travels to fit their rigid guidelines, you will find yourself travelling Europe for cheap. This year, one budget airline’s response to customer loyalty set it apart from the others. Wizzair, you are the proud recipient of my Budget Airline of the Year award. You have played a critical role in helping me travel throughout Europe this year. Not only has Wizzair consistently offered me $35 (CAD) and under flights to Stockholm, Milan, Warsaw and Tuzla, but after making a several bookings in one financial transaction, Wizz gave me 1 year of free access to their Wizz Discount Club. As a member of the Discount Club, I have been offered countless airfares and upgrades for less. When a good friend and fellow blogger, Electric Blue Food, asked me if I wanted to extend a layover in Amsterdam in order to attend a concert, I was initially intrigued but not convinced. Knowing that one of the main singers at this performance, Anneke van Giersbergen, was once the original vocalist for a band that is considered the predecessor to many of the bands I love, I ended up saying yes. And I am so grateful that I did. Anneke is one magician of a singer and can sing any genre whether it be classical, pop or metal. The concert, which was the final show of her Dutch tour with the Icelandic band Árstíðir, was absolutely phenomenal. Not only were all the songs hauntingly beautiful, the performance brought together a handful languages, traditions, and cultures. I’ve never been to a performance like it. To sums things up, my experience at this concert is going to be a tough one to top (especially since Anneke is the most down-to-earth musician and never leaves a show without meeting her fans). Not only did I dedicate more time to writing blog posts in 2016, but I devoted an abundance of hours to networking and increasing the visibility of my blog. I created instagram and twitter accounts to share my posts and favourite photos. I joined communities of like-minded, travel-focused individuals and with their help, have found a goldmine of travel and networking resources. I put myself out there and contacted a few of the travel bloggers I love – that includes you Happy to Wander – to thank them for the motivation and inspiration they have given me. I started emailing tourism agencies relevant blog posts I have written. I politely asked them to share these posts on their social media platforms. Of course, I did not receive many responses, but Fall in Love with Warsaw‘s support made it all worth it. Ultimately, 2016 has only been the beginning of this blogging adventure, but it has shown me that if you truly put your heart into something (hard work is necessary), you will still be rewarded… even if there are thousands of people out there doing the same thing as you. 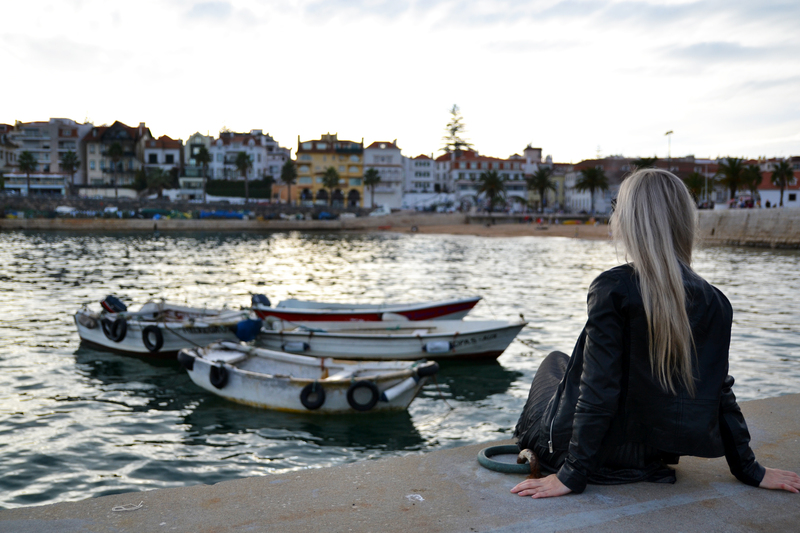 Sunset in Cascais, Portugal – You can expect a post about this town in 2017! While I have written a handful of blog posts that expand on many of the experiences mentioned above, many are still bound to the pages of travel journals…but not for long! Hopefully, this post has been a bit of teaser by hinting at some of the posts that will be coming your way in 2017. This post is amazing! I really loved that you reflected on your experiences and it shows growth! You definitely make me want to travel to Europe, which I’m definitely adding to my travel list! Thank you so much for your kind words! Travel can have such a positive and valuable impact on people’s lives and I really want to emphasize that. I hope you travel throughout Europe in the future! Thank you so much! I’m hoping to make 2017 even better! I hope it happens! The Balkans are fascinating, and I really think it’s important to see the present-day impact history has had. I am actually hoping to spend time in Slovenia this year! Any recommendations? Thank you so much for all the info! I always wondered if Lake Bled could work as a day trip from Ljubljana 🙂 Going to check out your post right now. Yes it’s definitely easily doable as a day trip, about 1 or 1.5 hours each way and the bus stop by Lake Bled is right near the lake! Oh wow 11 countries is quite an achievement considering that you work full time. Happy new year! Thank you! Believe it or not…it wasn’t planned! The small bit of Croatia I saw was beautiful – I’m determined to go back for another trip. I am totally committed to doing so! Excellent. I’m planning a summer road trip, hopefully to the Balkans. Thank you! And I hope you take that road trip! The Balkans are magnificent.